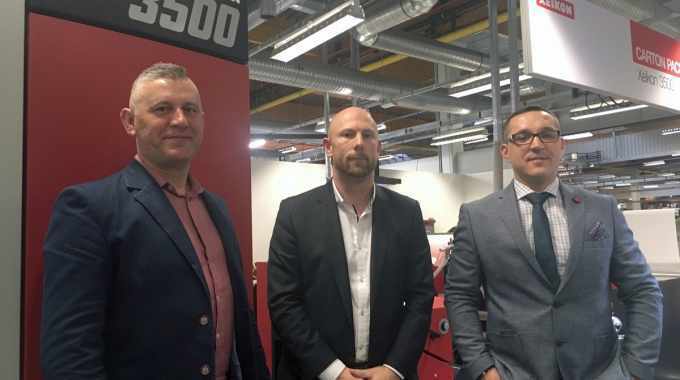 Xeikon has signed a distributor partnership agreement with Polish packaging and converting specialist Technograph for its dry toner presses. Specifically, the agreement, finalized at Xeikon Café 2019, will see Technograph distribute the Xeikon Cheetah series and Xeikon 3000 presses for packaging production. Technograph was founded in 2011 by current owners Konrad Staroscik and Piotr Mrozek. Staroscik commented: ‘The Polish packaging production market is still very much dominated by offset print processes but as brands move towards shorter, more highly versioned, print runs we believe digital is the future.